Adept is a simple, powerful document management solution that helps companies find, manage, share and secure business and design content across the enterprise. I like how it links up with Mechanical Engineering software like SolidWorks. It made it really easy to integrate part libraries into the actual engineering software we use. It is challenging to learn. I have used it for many years and am quite comfortable with it, but as I've trained many others they have informed me it is very challenging to learn. I would say it's a challenging tool to teach yourself. Once you understand how to work with it, it is a very powerful tool. There are plenty of headaches learning how to use it though. I recommend an in depth training by a user who has been through all of the obstacles before. Not having a joint data management system is okay for small teams, but as the team and company grows it is very important to have a more structured and accessible library. We have also been able to add layers of approval in certain areas that require it. "Good software for file organization." The file sharing capabilites are great. I use the plug in for solidworks and it is extremely helpful and convenient. You can share workspaces with coworkers very easily and always access the files that you need to. There is not much to dislike about this. There isn't a lot that this program is missing. There is sometimes a little lag on startup, but in general the program is reliable and works very well. Great product for file organization. Definitely one of the best in the business. I haven't much used similar software from different brands but this one makes it very easy to work with. File organization internal to the company is simplified with this. It is a great tool and the plug in for solidworks is extremely helpful. That the files appear in icon form. It makes it appear user friendly to the inexperienced eye. I have had issues opening files. Access is denied message keeps appearing. Pulling drawings to send to suppliers. CalcMaster advising and calculation software. Injection moulding software for optimization and calculation of moulded products. Product data management (PDM) is the business function often within product lifecycle management (PLM) that is responsible for the management and publication of product data. A PDM Product Data Management, is a fundamental software for CAD users that helps track and securely controls revisions history of both data and files. Thomas WebTrax gives qualified industrial product and service suppliers access to Opportunity Intelligence, which uses real-time data from their website, Thomas Network profile, CAD files, and phone calls — and organizes it into one comprehensive dashboard to track, identify, and engage high-value opportunities. advantum PDM is a engineering CAD software that makes possible for engineers to work more effectively and access drawings and models directly in advantum using CAD integrations. SpecPDM is an application platform provides product development with a central storage and specifications management system in order to be able to react to market requirements in a fast and flexible manner. PDMPlus is a rapidly deployable, instantly usable, easily tailorable, and swiftly affordable configuration management software application for performing hardware configuration management of manufactured products, fielded equipment, networked systems, and in-service assets throughout their extended lifecycle of use. ManageArtworks is a Packaging Artwork Management Software that helps regulated industries like Pharmaceuticals and CPG to ensure regulatory compliance of pack labels. * We monitor all Synergis Adept reviews to prevent fraudulent reviews and keep review quality high. We do not post reviews by company employees or direct competitors. Validated reviews require the user to submit a screenshot of the product containing their user ID, in order to verify a user is an actual user of the product. Hi there! 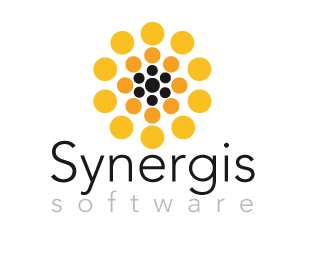 Are you looking to implement a solution like Synergis Adept?